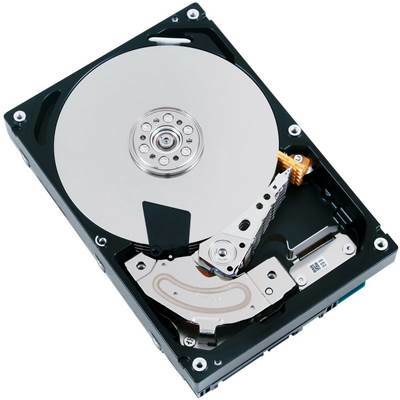 Toshiba MG03ACA300 Hard Drive, 3.5" Form Factor, 3TB (3000GB) Capacity, 64MB Cache, 7200 RPM Rotational Speed, SATA 6.0 Gb/s Interface, Intended for 24 x 7 operation. The new reliable nearline model features a top storage capacity of up to 4 TB in a 3.5-inch form factor and leading-edge 6Gb/sec SATA interface. Intended for 24 x 7 operation, the MG03ACAxxx also includes features that are critical to business operations such as enhanced Error Correction Code (ECC), Anti Rotational Vibration (RV) technology for multi-drive systems, and improved power condition state technology. The MG03ACAxxx provides a flexible and cost effective storage solution for enterprise applications including entry-level servers, storage arrays, RAID systems as well as private cloud storage.